So what you are seeing is it, the only one there ever was. 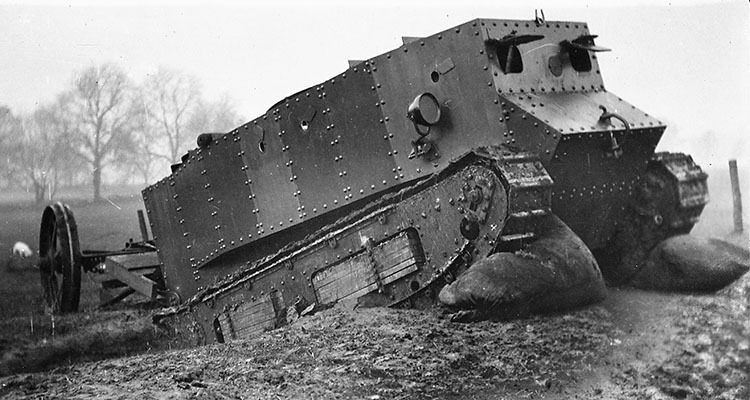 It never saw active service, indeed it never left Great Britain but it did play a key part in the development of the fighting tank and it causes us to focus on 1915, the year the first tank was built. 2015 marked the hundredth anniversary of Little Willie, it is now over one hundred years old and it takes us back to those very first days of tank development. When Little Willie was first built it was known as the Number One Lincoln Machine. It had a dummy turret on top and was running on a set of tracks made in the United States, by the Bullock Creeping Grip Tractor Company of Chicago, but since these had been designed for an agricultural machine they did not work well on a fighting tank, not even on a prototype. 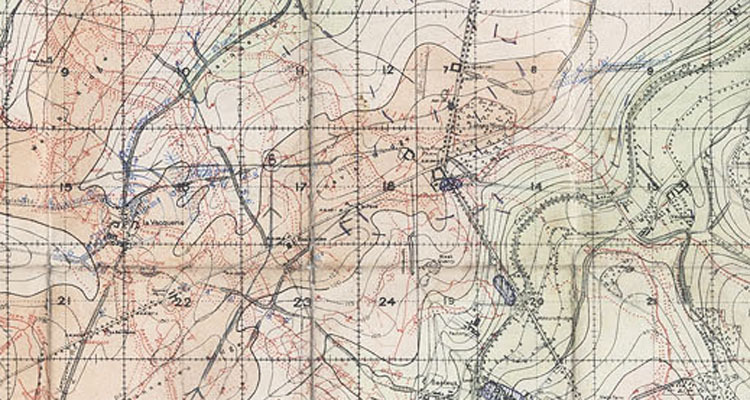 One of the designers, Mr William Tritton then came up with a new design of track, after testing many other ideas, and the track that Tritton designed was so good that it not only worked perfectly on Little Willie but became the pattern used on virtually all British tanks built during the First World War. Little Willie was built by William Foster and Company Ltd of the Wellington Foundry in Lincoln. The firm has gone now, and even the site of the foundry has been redeveloped and is unrecognisable now. But that is where the Lincoln Machine was built and where Little Willie returned to have its new tracks fitted. It wasn’t just tracks, new track frames had to be designed and built too. Indeed it took so long to make a full set of the new tracks that it was November 1915 before it was finished. When it emerged from the Wellington Foundry again there had been other changes. The dummy turret had gone, it would not be needed any more since a better design was already being built. 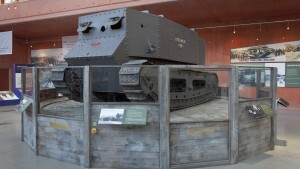 This was Mother, the first tank with all round tracks and with the guns housed in sponsons on each side. But Mother is gone, she was scrapped after the First World War, and only Little Willie survives. Granted there is not much left, the Daimler engine and most of the other internal fittings were removed years ago and you can see the damage at the front where somebody tried to tow the tank by threading a line through one of its windows. It’s not made of armour plate, only boilerplate after all. Little Willie was tested in Burton Park, Lincoln, probably in December 1915. 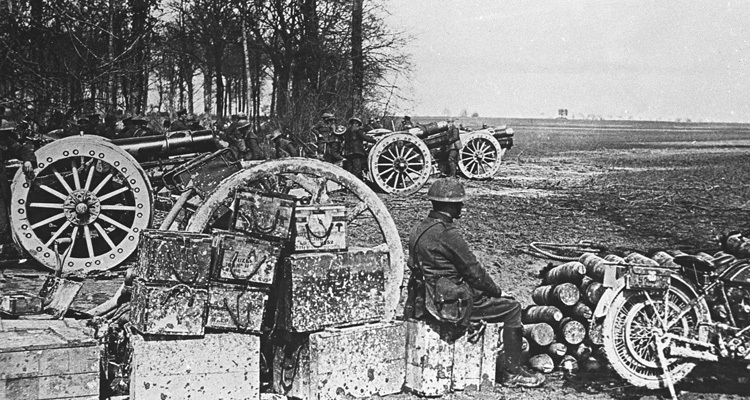 In those days it had a tail assembly, a pair of wheels at the back, but they were removed before the end of the First World War, since it could manage perfectly well without them. All you can see at the back of Little Willie now is the remains of the hydraulic hoist, used to manipulate the tail, to keep it clear of the ground or help Little Willie over a trench. 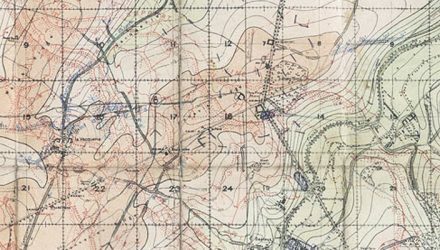 Rumour has it that Little Willie went to Hatfield in Hertfordshire in January 1916 and it is also claimed that it went to Elveden in Suffolk, the first tank training ground, later that same year. We can’t prove or disprove either of these claims, but that is often the way with history. When Little Willie retired in 1919 it was sent down to Bovington and included in the original Tank Museum collection; it didn’t come inside until about 1946 but then it was painted green like all the other tanks. Since then it has been repainted again in what we think is closer to its correct colour and now it is set up in a place of honour in the Tank Museum’s New Display Hall, on a rotating stand so that you can view it from every angle as it slowly goes round. 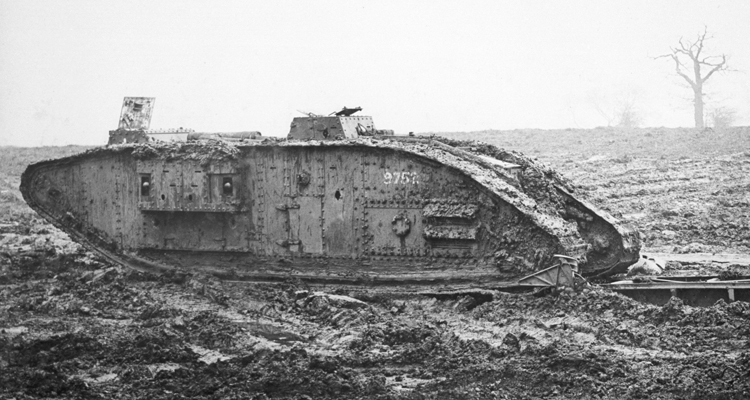 It’s there every day so you can see it with your own eyes, the World’s first tank.